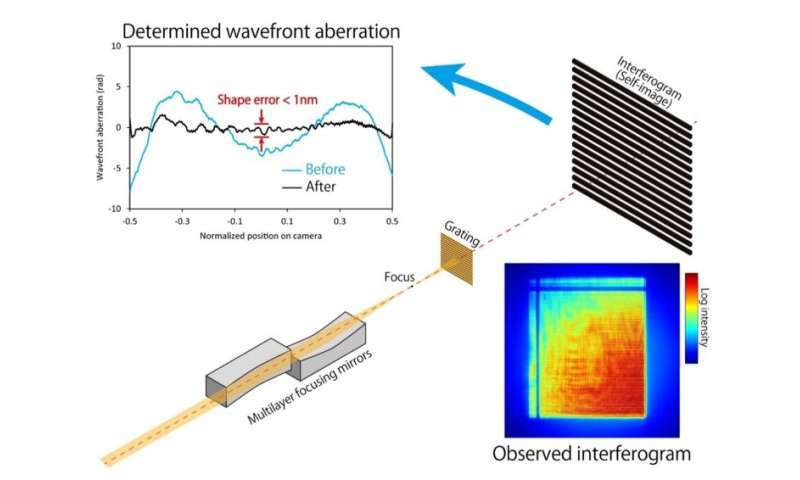 A collaboration led by Osaka University has recently developed a new technique to manufacture ultraprecise multilayer focusing mirrors with a shape accuracy of less than 1 nm, which can focus an XFEL beam to a size of less than 10 nanometers. 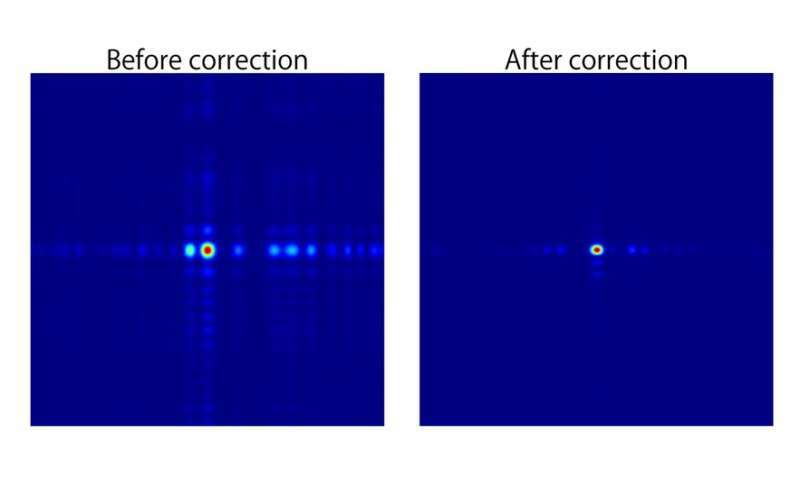 "To achieve a highly focused XFEL, we investigated wavefront determination using an X-ray single-grating interferometer and direct shape correction of the multilayer focusing mirrors by a differential deposition method," says lead author Satoshi Matsuyama. 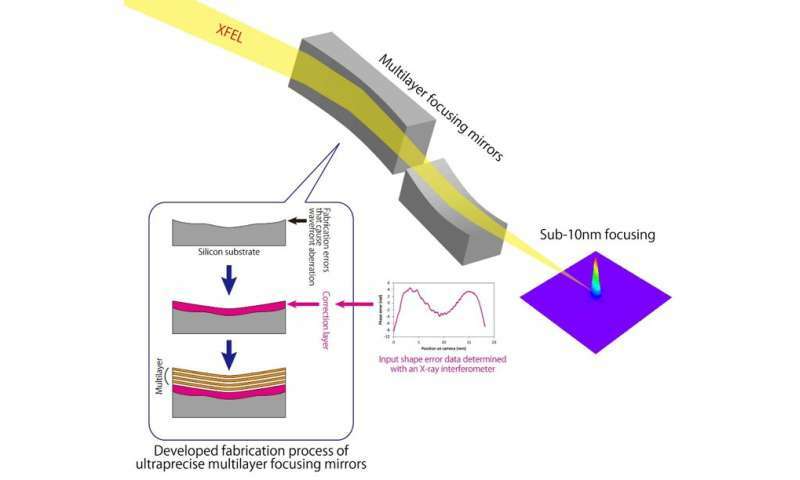 "We anticipate that multilayer focusing mirrors fabricated by the approach established in this work will soon be available for use in XFEL and synchrotron radiation facilities," says senior author Kazuto Yamauchi. "Such highly focused beams will open new frontiers in X-ray science."